You are so right about us not having control. Life changes every second either for the best or worse. We live each day by God's grace and nothing else. I'm happy you are letting go of the control as it wasn't doing any good. That's the right attitude, Launna. I'm sad about your friend. Life is too short and we usually spend it worrying about useless things. Hope you have the best week ever! I can relate to that feeling that goes through you when something unexpected happens and you all of a sudden realize that you really aren't in control of everything in life. I've had to deal with several injuries in recent times and it's insane how debilitating they can be. And not only on a physical level! On a mental level as well. One of the few things you do have influence over (not control) is how you react when faced with a situation. That is has been the hardest lesson for me to learn. I still struggle with it. I'm so happy to read you are ready to get control by simply being ready for life's dynamics!! It changes so often, you really never know what you're going to get... I hope your week starts off amazingly!! I always prefer to live in the moment, every single moment of my life. So true, control is just an illusion: enjoy your life Launna, this is the right attitude! 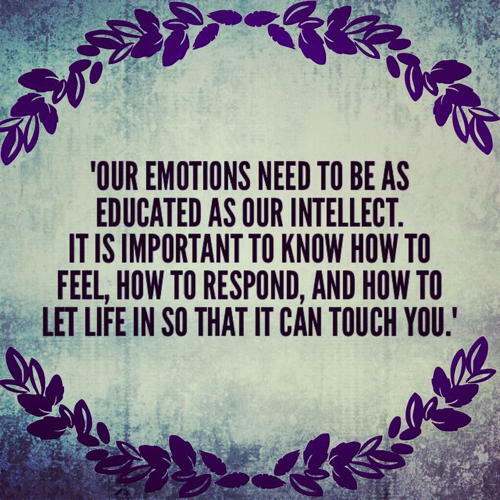 It's true we can control our own thoughts and emotions and, to some extent, our actions. But we also have to realize that sometimes we can't do what we want to do because of outside forces and circumstances. We have to be flexible enough to accept change when we are faced with it. Life is a balancing act of planning ahead and living in the moment. Well-written piece, Launna. Very true. Sometimes we plan and strategize and all that comes to nothing because life just keeps throwing us curve-balls. Sometimes it's just better to let go, even though it's hard. You really don't know how much time you have, or what's going to happen to you. You can make plans, and do as much as you can, but the important thing is to be grateful for the time you have and make the most of each moment. Every word you wrote today is so true. Learning to live in the moment without trying to control everything is the key to peace, I think. But so hard to do! Acknowledging the process is the best first step, though. A very powerful post, Launna! We just never know which day will be our last, so I always try to live in the moment. Hugs to you. In regards to what you said about pain, etc. You can't fully appreciate the light without the dark, joy without sadness, silence without noise, the highs without the lows, and health and healing without pain. I know it's easier said than done, I know that it's difficult to go through the low points. But the happiness, the joy, the high points is what makes it all worth it. I always prefer to live in the moment, every single moment of my life.So true, control is just an illusion: enjoy your life Launna, this is the right attitude! I think that the control is just an illusion. I have learned to live in the moment and not think about the future. Totally agree. We only limit ourselves. It's all in the mind. SA, true words. Live in the moment for we never know when we will lose it. You are so right, dear launna! Control is an illusion! The tighter we hang on to something we're afraid to lose, whether it's our hearts or our possessions, the greater the chance that loss will come. Letting go can allow us to experience true freedom and joy. Realmente estou adorando aquele creme! Meu cabelo fica mais bonito com ele. Yes we can think we have the one thing under control and then the unforeseen happens and becomes a barrier to our successes - in relationships, in physical fitness & health. We can't live as if we can control every moment but we also can't live afraid of the unforeseen. 1) If you do not go after what you want, you will never have it! 2) If you do not ask, the answer will always be no! 3) If you do not step forward, you will always be in the same place. Always love your motivational writing. We believe we have control over things, but it is not so, and for a better life we should live without illusions, but always appreciating the good things we have. A big hug dear Launna! I think it's great that you are so self aware. Giving up control is definitely hard, but it's also not easy/fun to be afraid of life. I hope you are able t ofind a good balance! I have been meaning to comment but i like to think about it and take my time, not just dash something off for the sake of it. It's a good point about control. I'm at a point in my life where I'm honestly not afraid of much. I'm not afraid of being hurt, I'm just tired of it...and there is a difference. Just because you leave the door open doesn't mean anything will show up...that has been my unfortunate experience. I hope it gets better for you. You are right, we really have no control over anything. So we do have to live in the moment and enjoy it. I was thinking about you the other day and how being injured had stopped you from being able to walk to the way you like to walk and the way I like to walk. And I wondered what would I do if I broke a leg or something. I would really miss my walking and I don't know what I would do to replace it. I hate not being in control~! Life can change at any moment and we truly cannot control situations but I believe a lot in trusting that whatever happens is allowed to work in my favour- even though I mightn't be able to decipher exactly how this would be. I'm glad you are ready to let go of the control that doesn't let you live. Exactly. Control and when to do and when not to do. Looking forward and being thankful for all that we have now, where we came from and how far we are going! It is true life can change in a moment - sometimes for the worst but also for the better. Being mentally prepared and ready to grab that moment, live for the moment can be a good step to take. Such an important subject to write on. And I think it brings back the thought of making the most of your time enjoying those little moments with..well, LOVE. Yet, there is the factor of protecting yourself too. You know, it is very interesting as I was attending a course today and it talks about how change is messy and how we cannot control things but to change the way we look at things. It is work related but lots of ideas could be applied to life in general. So this reminded me a lot of some of the lessons I took home today. It is easy to say that we cannot control what happens to us but we can control how we see it. But sometimes it is just so difficult to put it into practice. I'm feeling exactly like this now. I just hope to get outta the rut soon. Launna Launna Launna... It is always great to find people who totally understand what you're going through because of similar situation. We completely understand each other's pain and anguish at not being able to do so many things. I have also out on flabs and I don't like it. I was reading up on sciatic nerve and it sounds like the pain is super intense. Do you have any spine-related problem? It is great that physio had helped you. TBH, I can't wait for my 1st physio session! This is such an interesting and thought-provoking post Launna, and I can certainly relate to some of the things you said. I'm so sorry to hear that your friend passed away. Time is precious, and if we try to exert too much control over our immediate circumstances, we run the risk of becoming emotionally numb, because we don't allow ourselves to experience real emotion. I'm glad to hear you've been so self-aware and have made a conscious decision to be positive and open-minded about the prospect of love. Hello Launna! Wow, I say having control over eating healthy would be pretty awesome. You are so right though, some things we have control over and all others not so much. Sad but true. So sorry about your friend. I think I remember reading that in one of your prior posts. Life is really fleeting. "How could that much joy bring pain". That is deep and got me thinking too, just like all your posts. I totally also get holding back for fear of getting hurt especially after all you've been through but the again we have to keep an open mind. Almost like permitting ourselves to feel again and if anyone can, you can! Keep inspiring! You are so correct. Some things are uncontrollable for us. But yay, some things are! This post of yours really spoke to me because I can totally relate. I am someone who needs control all the time and although I know it's not always possible it can still be challenging. Tomorrow is not guaranteed and even though that's a scary thought it really puts life's small problems in perspective. Great post Launna. Amo sombra baked! As cores são mais intensas e chamativas. É a minha cara! I am sure a lot of people can relate to what you have so clearly written. You have great writing talent. Hope you will post more thoughtful posts. I love the second quote! It really needs to be applied to my life. Amiga passando para ti desejar um final de semana abençoado. 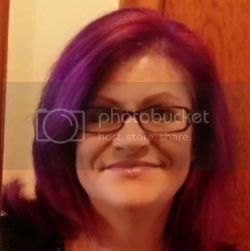 As usual I loved reading your post, Launna, and it gave me a lot to think about. I'm kind of a control freak in many aspects. I even wish I had the control of what's happening on my life although I'm aware that's impossible. I'd love to put in practice what you said: intead of trying to control everything that's aorund me I should try to control my emotions and actions towards it. Life is indeed full of changes, and many of them happen of all the sudden, so it's better is to learn how to be a more flexible person. It would be easier to just shut off emotions to avoid feeling the pain, but in doing so, we also never have the opportunity to feel the joy. Opening up to love is opening doors to living a fuller life, because what is life but a fleeting moment, one must make the best of it. 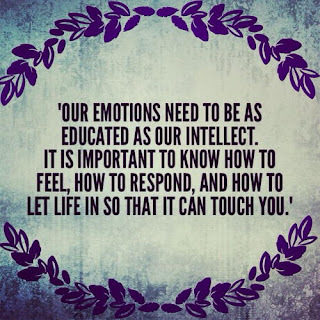 I really believe being closed off to feelings and emotions is like a sort of death. I did that for a while and I was not a happy person at all. Life is beautiful, glad you are openning yourself up to receive love Launna! The sense of control is just an illusion we get to feel security and the price we pay for it is to loose opportunities that can guide to us to happiness. Great post as normally Launna. I'm so sorry about your friend. When someone close to us passes, that is never easy. You're right though, control is definitely an illusion and it leads to a lot of negativity if someone in your life if you can't check it. I recently had everything stripped completley from my control. At first I thought, what a mess. Now (and I'm by no means at all entirely back on my feet) my thinking is different, and I'm thinking, wow, what a gift to have that struggle, it makes me so much more appreciate my journey. CONTROL! Ah I wish I could control everything including love, but unfortunately life is life. We can only try, experience the pain and the rejection. Sometimes it helps us and prepare us for better things in life. Hope you're doing well Launna. That's a great attitude Launna. We all fear death and uncertainty and never even want to think or talk about it. I'm no different. But every time such thoughts and fear of uncertainties occur; I try to focus and 'be present'. True! we have no control over our tomorrows (in many circumstances) but being honest to our present life certainly can reduce those stresses. Think that we have so much to do today (in fact so much we can do today) before we go to sleep at night. Well-written. I'm so sorry about your loss. 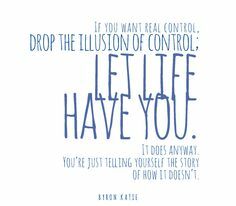 That is SO TRUE: Control is an illusion. Nicely written.